Book with Premier Travel and get £20 OFF your holiday! 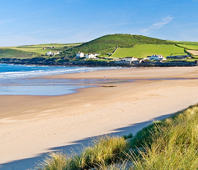 Croyde Bay Holiday Resort is sited over the dunes from the beautiful sandy beach of Croyde Bay - just a few miles from Woolacombe on Devon’s glorious north coast. Guests return here year after year, impressed with the great hospitality, friendly service and warm welcome. Treat yourself to a wonderfully indulgent few days at the luxurious Shrigley Hall Hotel, and take in some of England’s finest unspoilt scenery at the same time. Our luxurious base in the heart of the Cheshire countryside is historic Shrigley Hall Hotel - featuring first class comfort within its own 262 acre estate with sumptuous surrounds and a host of facilities. 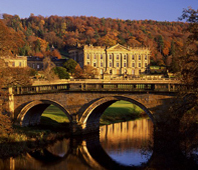 As a fitting compliment to our grand hotel base, we’ve included a visit to one of Britain’s most stately estates - Chatsworth House and Gardens - plus some stately sightseeing featuring the most beautiful scenery of the breathtaking Derbyshire High Peaks. Go on, spoil yourself, you’re worth it...! Lying on a sandy bay between the giant headlands of the Great and Little Orme and with Snowdonia towering in the background, Llandudno is without doubt the ‘Queen of Welsh Resorts’. 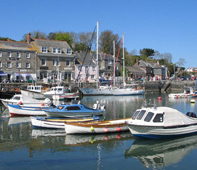 The town abounds with all the fun and entertainment of a traditional seaside holiday with attractions by the score. 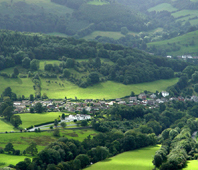 With such outstanding scenery on the doorstep, our excursions are particularly spectacular! Terms and conditions apply. £20 is off the total price of the holiday.